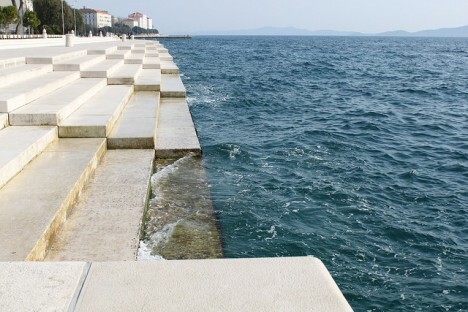 The ocean already makes music of its own, but in one Croatian town, its natural sounds are enhanced with the help of an interactive jetty-turned-instrument called ‘Sea Organ.’ Created by architect Nikola Basic in collaboration with engineers, craftspeople and a musical professor who tuned all of the pipes, the 230-foot installation on the coast of Zadar emits a constantly-changing concert of harmonic sounds with the flow of wind and water. 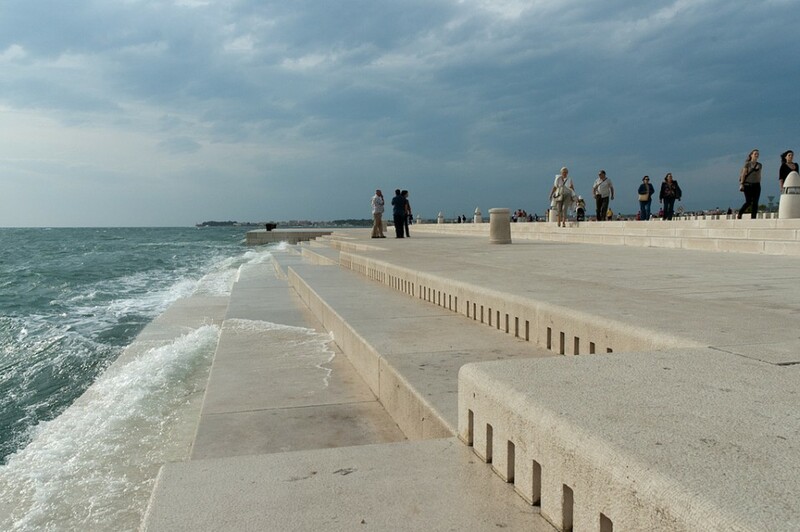 A system of polyethylene tubes and a resonating cavity are disguised beneath a set of marble steps leading straight into the Adriatic Sea. The channels connect to 35 organ pipes, and each set of steps containing five pipes is tuned to a different musical chord. 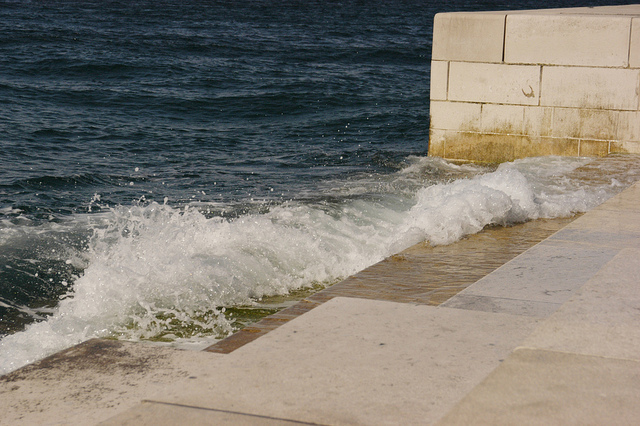 As waves and the wind push air into the pipes, they create a haunting chorus of sound. The rougher the sea, the louder and faster the music. 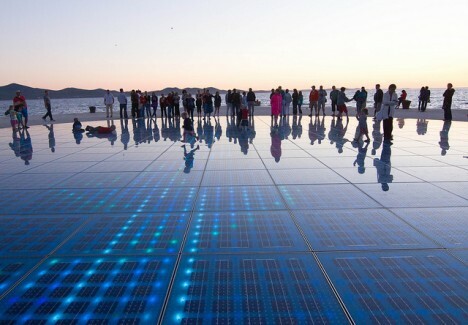 The Zadar-Morske Orgulje, as it’s known locally, is also topped with an interactive display of LED lights that seem timed to show the movement of the water under the marble. This 22-meter-diameter, disc-shaped solar-powered installation called ‘Sun Salutation,’ also created by Basic, only serves to make the music of the sea even more magical.